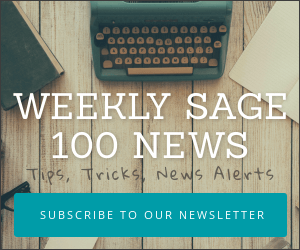 Users of Sage PFW (aka Platinum for Windows) will want to begin paying attention to their options for migrating to another accounting system. As you’ve probably heard all support for PFW will cease on March 2014. While some third party providers may continue support there can be no further patches or updates for PFW issued. What this means is that as Windows 8 (or more likely Windows 9) is adopted by companies there is no assurance that the legacy PFW system will continue to be compatible with the new Windows versions. 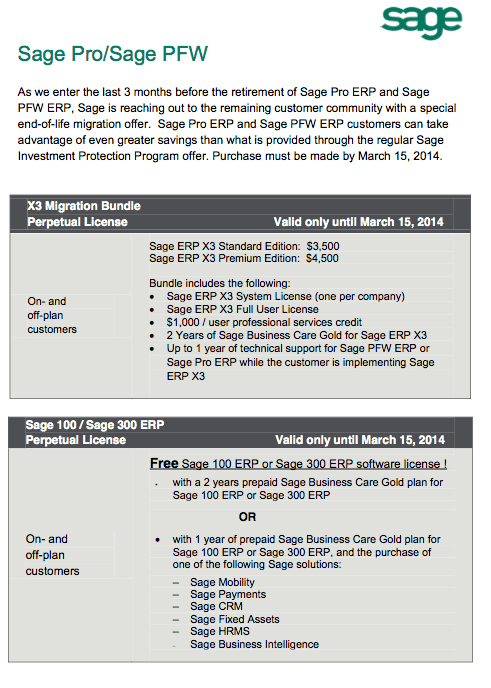 Sage is offering a number of discounts off their existing solutions for those PFW users looking to upgrade before support stops in March 2014. In many cases your data can be migrated using automated tools developed by Sage. It’s best to avoid the rush that may occur as the cutoff date approaches. Contact your Sage partner who can provide you much more detailed and thorough analysis of the pros and cons of your migration that is possible in the limited space available here.